This month's Flavor of the Month was Pumpkin, of course! I made Pumpkin Cream Cheese which has been devoured at an alarming speed. It's sooo good. Head over to Bake at 350 to see other delicious uses for Pumpkin! 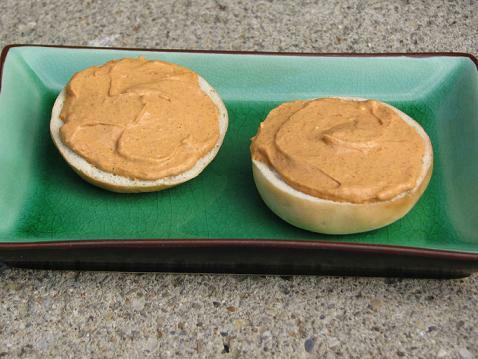 I had some mini bagels on hand which is what prompted me to want to make the cream cheese. Kidlet got some in his bento of course! 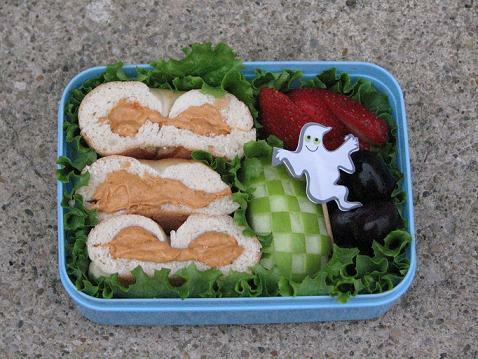 He has one and a half mini bagels filled with pumpkin cream cheese, checkered apple, grapes, strawberry, and ghost! Combine all ingredients in a bowl with a mixer. Chill in fridge. Eat on top of everything! 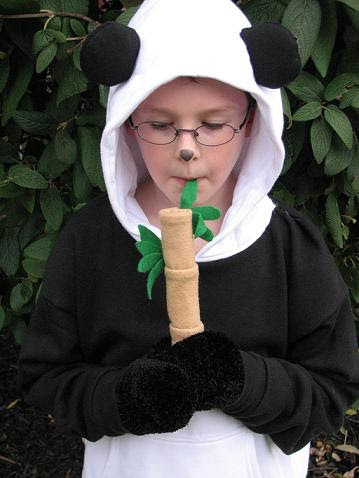 Kidlet felt he needed an accessory for his Panda costume so I made him some bamboo just in time for Trick-Or-Treat! It's just rolled up felt secured with hot glue and some felt leaves. So easy! And apparently tasty. Happy Halloween everyone! Kidlet was well enough to go out for candy for just a little while but still managed a pretty good haul. 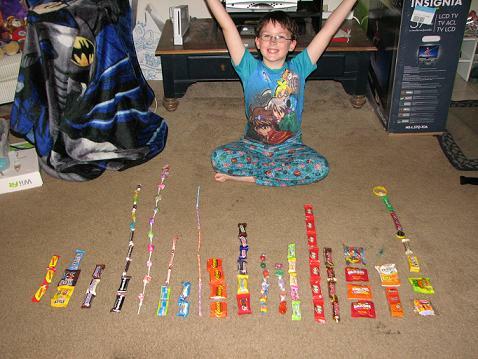 And being the nerds that we are, no candy can be eaten until it is graphed! Math + Halloween = Fun? Yes indeed! Hope everyone is having a safe and delicious Halloween! I love it...I'm going to do that with my son when we come in from trick or treating tonight. What a cool way to look through all of your candy! And what a cute panda! Isn't pumpkin cream cheese good?!? Your checkered apples always amaze me, too!